If you find yourself looking deeply into a highly-detailed engine compartment that looks smooth and, well, detailed...chances are that it will have a smoothed firewall. 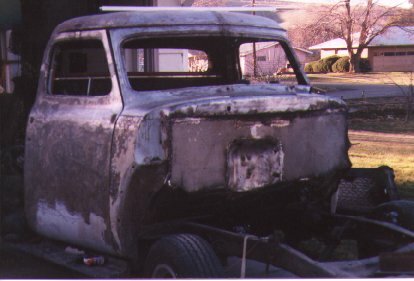 This was the look that I was after for my own project truck and a simple modification that won't overly tax a novice's bodyworking skills. 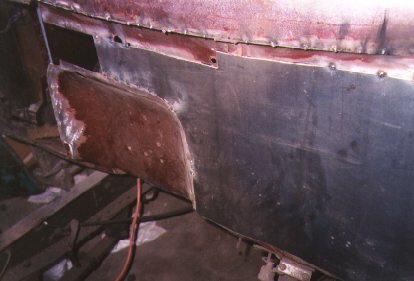 Using a die-grinder, cut-off discs and a 4 1/2" Makita grinder, I removed the flange on the front of the cowl, firewall and dressed up the edge where I cut out the old firewall. I opted to put the firewall in as two pieces of 12 gauge sheet steel. I did this because it was easier for me at the time. It's more common to see this done in one piece, but it worked great. Tack weld around the edge to hold it in place until you get the other piece in. I also left the transmission dimple in. 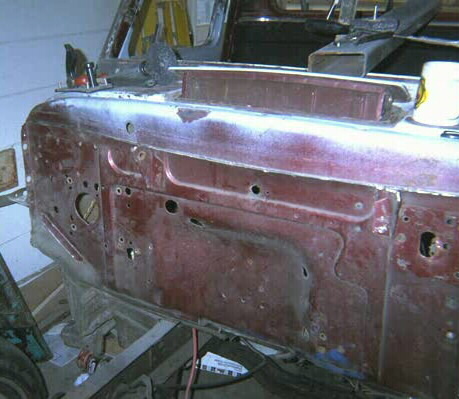 It was in good shape and would only require a couple of welds to smooth it out nicely. Once again, tack...tack...tack. At this point you might think about checking the straightness of the firewall using a level or other straight-edge. Now is the time to tap here and there with a body hammer to get things straight! Using 16 gauge sheet metal, I cut out a filler piece for the cowl vent. 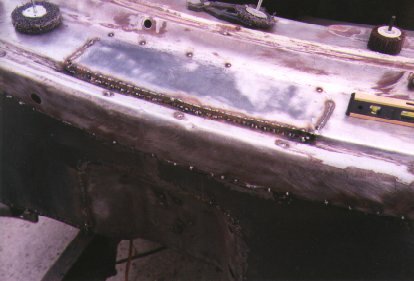 Three small tack welds on each side and 5 across the back locked it in. Then I layed a straight-edge across the piece and used spacers to raise the center of the filler piece to match the curve of the cowl. Then I welded in a strip a little taller than the opening, smoothing it down with a grinder. 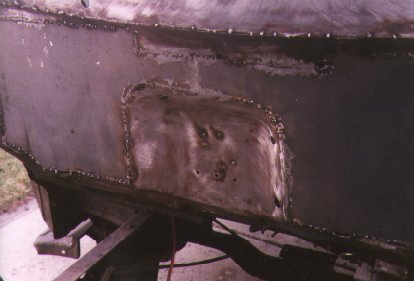 Step Back and look at your handywork.... All that needs to be done is finishwelding, grinding the welds smooth and begin the finish bodywork. VERY COOL! !